How’s a content integrators workday? You will be publishing, editing and optimizing content via WordPress. Together with the Project Manager as well as the SEO Specialist will you be launching top-notch website that will generate high volumes of traffic and revenue. Publish content on various websites via CMS (WordPress). Update existing websites using current SEO trends. Help execute the launch of new assets. Edit images from time to time. Work closely with the content team. Share your knowledge within the organization. 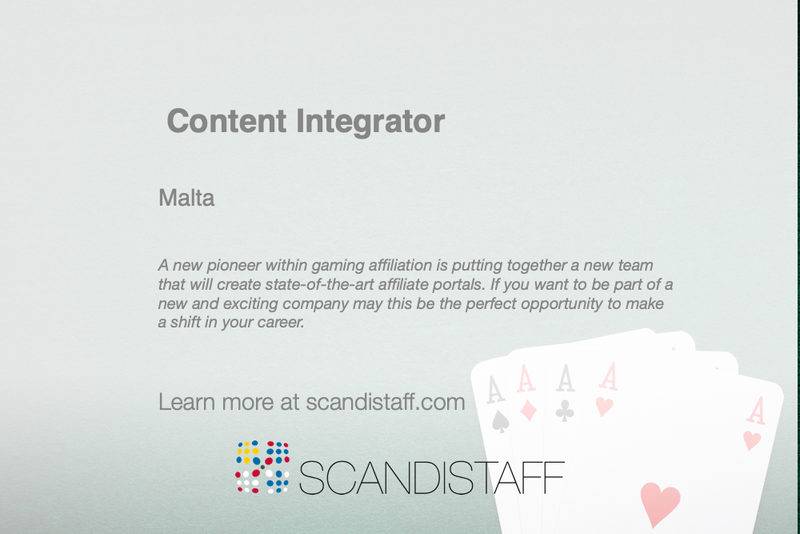 Who is our new content integrator? We would like you to have a reasonable understanding of SEO and have worked professionally with CMS (preferably WP). You will also need basic HTML and image editing skills. We also believe that you are an open-minded person that appreciates feedback, learning and constant development of your skills. You need to be a true team-player as you will work intensively within a small team, everyone helping each other out in achieving the best converting gaming affiliate portals in the world. You’ll be required to have a strong mindset where success for yourself and the company is priority no. 1. Do you want to be the content integrator?